If you’re looking to get your first credit card, there’s a lot you’ll need to know before you start putting out applications. You’ll need to know how credit cards work, what benefits they offer, how payments work, and what the real costs will be. That’s why we’ve prepared this beginner’s guide to credit cards. It will help you navigate the often complicated world of credit cards, and to find the best card offer for you. Don’t worry if your first card isn’t as good as cards your friends have, or others that you see advertised. The best credit card offers go to those who have strong credit profiles. You’ll have to start slowly, and as you build up your profile, your options will increase. This guide will help you get there. Credit cards can help you build your credit score. You can do this with other loans, like car loans and installment loans, but adding at least one credit card will help your cause. Also, credit mix is one of the five factors that make up your credit score. There are some purchases that require a credit card. That includes purchasing airline tickets, or making online purchases. A credit card is often required to make a reservation. This is typical with both hotels and car rentals. If you have no cash, and your bank account is empty, a credit card may become a necessary backup plan. Credit cards come with enough benefits, like cash back rewards and 0% introductory APRs, that could lower your overall cost of doing business. It may seem smart to pass on getting a credit card in an attempt to avoid becoming dependent on debt. But in the way business is done today, you’ll miss out on too many benefits. Credit cards today come in many different flavors – or better put – with various sets of benefits that make them specialized for a certain type of spending. Below are the most common types of specialized credit cards. We’re going to start with this category of cards, because as a first credit card, it’s probably the one you’ll be least interested in. After all, balance transfer cards are only useful if you have other credit cards with balances on them. If you’re looking for your first credit card, this is highly unlikely to be the case. Still, balance transfer cards are one of the most popular type available, and they’re worth knowing about from the very beginning. Generally speaking, balance transfer cards are available to more established consumers, with higher credit scores. They usually have credit limits of several thousand dollars, which is why higher credit scores are usually necessary. 0% introductory APR. Balance transfer cards typically offer a 0% rate if you transfer balances from other cards. You must usually complete the transfers within 60 days of opening the card, and the 0% rate will apply for anywhere from nine to 21 months. Balance transfer fees. Balance transfer cards typically charge between 3% and 5% of the amount transferred. For example, if a card has a 5% balance transfer fee, and you transfer $2,000 from another credit card, you’ll pay a fee of $100 for the transfer. Some balance transfer cards also include purchases. With some cards, the 0% Introductory APR offer will also Include purchases made within the first 60 to 90 days of opening the card. But never assume this to be the case, since it’s not always offered. Rates can skyrocket after the introductory offer. Your 0% APR could rise to something like 25% at the end of the introductory offer. You should plan to have any balance transfers paid off before that happens. Cash back credit cards have become incredibly popular, but they’re not always available for people with new or limited credit history. And the most generous offers are always reserved for people with excellent credit. But even if you’re new to credit cards, cash back cards need to be on your radar. They can offer you an opportunity to save money while you go about your regular spending patterns. Basically, cash back cards pay you back a certain percentage of your purchases. The cash back may apply to specific purchase categories, or to general spending activity. Cash back can range between 1% to as much as 5% of the purchase on more generous offers. Many cash back cards also come with generous introductory offers. For example, the Wells Fargo Cash Wise Visa Card allows you to earn a $200 cash rewards bonus after spending just $1,000 in the first three months of opening the card. That’s like getting a 20% discount on everything you purchase. An introductory offer, like the one above, providing enhanced cash back. 1% to 2% cash back on all spending categories on an ongoing basis. Enhanced cash back, as high as 5%, on select purchases, like gasoline, restaurant meals, and hotels. Enhanced cash back rewards may be either permanent, or on a revolving basis, changing each quarter. Some credit cards will enable you to redeem cash back rewards in actual cash from an ATM machine. But it’s more common for them to be offered in the form of either a statement credit, applied to certain purchases, redeemable for certain merchandise, or in the form of gift cards. Actual cash back and statement credits are the better options. Travel rewards cards work similar to cash back cards in that they reward you for spending. However, they’re more limited in scope. They also tend to be available primarily for people with strong credit scores, but they’re still worth being aware of even if you’re a credit card beginner. Both the accumulation of points, and how they’re redeemed, are generally more complicated than with straight cash back rewards cards. Cards that allow you to accumulate travel rewards based on all purchase activity. Cards that require you to accumulate travel rewards based on travel related purchases only. Redemption of rewards for travel related purchases only. For example, Chase Sapphire Preferred Card has a bonus program that allows you to earn $625 toward travel when you spend at least $4,000 on purchases in the first three months of opening the account. Redemption of rewards for general purchase activity. The calculation of travel rewards is also more involved. They don’t typically give you rewards based on a percentage of your purchases. Instead, rewards are issued either in terms of miles or points. Rewards miles maybe redeemable for airline travel. In fact, with certain travel rewards cards, the miles you accumulate on the card may be redeemable directly with certain airlines. In the case of points, a travel rewards card may issue points instead of miles or a percentage for purchase activity. For example, the Bank of America Travel Rewards Card offers unlimited 1.5 points per $1 spent on all purchases. The points can be redeemed for statement credits towards travel purchases. It should go without saying, that you should avoid travel rewards cards if you’re not a frequent traveler. Cash back cards would be preferred. If you’re looking to get your first credit card, this category may be the most relevant for you. 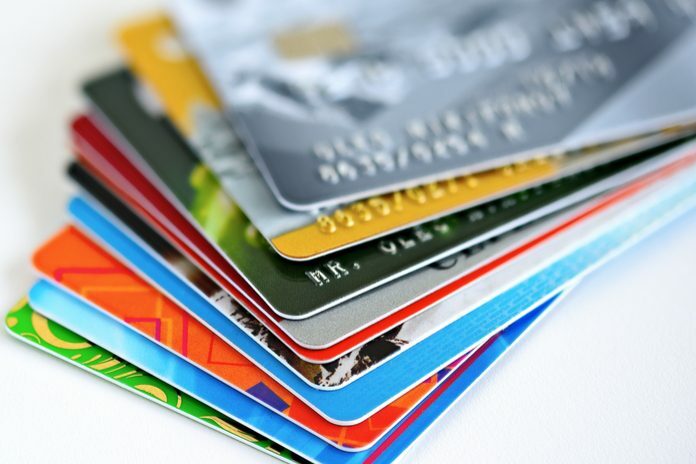 Credit cards are one of the major components of the typical credit profile. Unless you have other types of credit, like an auto loan or a couple of installment loans on furniture or computer equipment, you may not have much credit history. That will result in a low credit score, that can make getting a credit card more difficult. One of the factors that makes getting a first credit card so difficult is that credit cards represent unsecured debt. Simply put, there’s no collateral for the lender to take back should you default on the loan. Become an authorized user on someone else’s card. An authorized user is someone who has the right to use a credit card, but isn’t primarily responsible for making the payments. The outcome can be a mixed bag. With some credit cards, an authorized user doesn’t get the benefit of a credit rating. But some cards do provide that, and these are the cards you should favor. You’ll get the benefit of the primary user’s payment history. Student credit cards. These are popular with college students, and some are available for high school students too. You can have them cosigned by your parents, or you can even qualify based on income from a part-time job. One of the most popular student credit cards is the Discover it Student Cash Back Card. Not only does it offer many of the benefits of traditional credit cards, like cash back rewards and a 0% introductory APR, but the interest rate is also quite reasonable. If you have no credit, or bad credit, these are perfect cards to get. Basically, you get a credit card with a credit line that’s secured by a savings account. For example, if you have $1,000 in a savings account, you’ll get a credit card with a credit limit of $1,000. You can use it just like any other credit card, and the lender will even report your payment history to the credit bureaus. They may even release your savings account once you demonstrate a good pay history. Two or three secured cards can build a decent credit score in less than a year. They’re typically available at banks and credit unions. You can look into the DCU Visa Platinum Secured Credit Card as an example. It’s a credit union, but they offer their products nationally. The interest rate charged on this card is very reasonable. What to watch out for. Be careful with some of the secured credit cards that you’ll find online. They can accomplish the same purpose, but the credit limits are low, and they charge very high fees. With a typical online card, you start out with a credit limit of $200 – collateralized by a $200 security deposit. But the card charges an annual fee immediately, which also reduces your credit line. Since the annual fee is typically between $50 and $75, the drop in your credit limit is high. And $50 to $75 is a ridiculously high fee to pay for the privilege of a $200 credit line. When it comes to finding a good beginner card, it can sometimes come down to whichever card issuer approves you first. But you do have a choice as to which credit cards you apply for. When you do, emphasize applying for the cards that are most consistent with your own personal situation. For example, if you’re a student, go for a student credit card. If you’re a frequent traveler, apply for cards that offer generous travel rewards. If you’re not frequent traveler, and you still want rewards, apply for cards that provide cash back rewards for general purchase activity. If you’re having difficulty getting approved for a credit card, go the secured credit card route. Most banks and credit unions will approve your application as long as you have a savings account as security. It can be as little as a few hundred dollars, but that will be enough to get you started. If you’re a first-time credit card user, you need to be aware they have the potential to get you into a deep financial hole. Part of the attraction of credit cards is that they’re so easy to use. In today’s world, credit cards work just like money. In fact, in many cases, they’re even better and more convenient than money. When you add credit card rewards, as well as increasing credit limits, it’s a serious recipe for getting deep into debt. Use your credit cards to reap the maximum benefits from rewards and 0% introductory APR’s. But be sure to keep your balance as low as possible, to minimize interest charges. Also, be aware of the impact on your credit score. A single late payment can cause your credit score to plummet, particularly if you don’t have much credit to begin with. But one area that’s particularly sensitive to credit card usage is credit utilization ratio. For the most part, that’s the amount of your outstanding credit card debt, divided by your total credit limits. It represents 30% of your credit score calculation, second only to payment history at 35%. The credit bureaus like to see this ratio below 30%. To the degree that it exceeds 30%, it will hurt your credit score. And if it exceeds 80%, it will hurt your credit score a lot. Use credit cards for the benefits they provide, but never run up the balances. Practically speaking, you can get by with one very good credit card. But that’s not always the best strategy. First, not all credit cards are accepted everywhere. Two examples are American Express and Discover. They’re both popular cards, but neither are accepted everywhere. Building your credit score is yet another factor. Yes, one credit card can help you to build your credit score. But two or three will do that better and faster. Finally, there’s the matter of credit card benefits. Credit cards commonly offer upfront bonuses, cash back rewards, travel benefits, and 0% balance transfer offers. By having several cards, you’re more likely to have at least one of these benefits working at any given time. Most of the specific information you’ll need to know with credit cards will be in a document commonly referred to as the “terms and conditions”. This is where all the fine print of credit cards can be found. Make sure you read it carefully and understand all the terms. Interest rates have ranges, such as 17.99% to 24.99%. Your rate will depend on your creditworthiness. If you’re new to credit cards, expect to pay at the upper end. Cash advance fees. Similar to balance transfer fees, credit cards typically have cash advance fees. 5% is typical, so if you take a $1,000 advance, the fee will be $50. Late fees. Pay after the due date, and you can expect to pay fee of $35 to $40. Late payments usually won’t be reported to the credit bureaus until you’re at least 30 days past the due date. Credit card interest rates are variable. They’re usually based on the Prime Rate. Anytime the Prime Rate rises, the rate on your card will too. Collision damage waiver when you pay for a car rental with the card (covers the deductible in your own auto insurance policy). Buyer protection. If an item is purchased and not delivered, or is not satisfactory the card will cover the cost of the purchase. $0 fraud liability for unauthorized charges made to your card. Concierge services, such as for assistance with travel. Annual fees. Many cards charge these, though many don’t. The typical fee is $95, though many will waive the fee in the first year. A no-fee card isn’t automatically better. Many cards that do have the fee have better ongoing benefits than those that don’t. Weigh out which card offers the most services and benefits, rather than automatically avoiding cards that charge an annual fee completely. Interest rates matter, but… If you make a habit of paying your credit card balance in full after each month, you can avoid interest charges entirely. That doesn’t mean the interest rate on a card doesn’t matter, only that you do have control over whether or not you’ll pay it. Avoid applying for several cards at one time. You may be tempted to apply for several cards at once, thinking that will increase the chance having at least one approved. But that strategy could fail. A credit card issuer that might approve your application could decline it if they become aware you’re applying for other cards. They can discover this from inquiries that appear on your credit report. Applying for several cards at once could be an indication you’re in desperate need of credit, and therefore a poor risk. Look past generous upfront offers. A card that offers a generous upfront bonus may not be as good in the long run as one that pays 2% cash back on all purchases going forward. Think of a card as a long-term business arrangement, and closely consider the permanent benefits. If you’re applying for your first credit card, look for the best one available, but keep your expectations in check. If you already have limited credit, you probably won’t qualify for the best offers. But don’t become discouraged. Everyone has to start somewhere, and by starting with one card – even if it isn’t your first choice – you’ll be moving in the right direction. Once you have your card for a while (like approaching one year), your options will increase. Credit card issuers will begin soliciting you. And when they do, that’s when you’ll have your pick of the best.